Learn why the butterfly is sometimes used to signify Easter in a specially designed lesson for children. Participate in an outdoor butterfly hunt activity (butterflies are not real). Every child will receive their crafts and a small gift bag to take home. Bring your children and their friends! For more information and to register, click here. For more information on how you can help please contact Wendy Cibils. FOR OUR CHILDREN, THE MOST IMPORTANT HOUR of the whole week is the one that begins on Sundays at 9 a.m. Our dedicated Sunday school staff is ready to share God’s word with children during that time. Please bring your children and invite others! Please help our Sunday school attendance grow by inviting and bringing children! 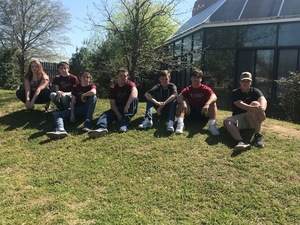 Oklahoma District Youth News - Click here to read the latest Oklahoma LCMS District Youth News. Please check for fliers for what is needed for individual projects. Thanks to our Sunday school children for cleaning up our church neighborhood on June 3. 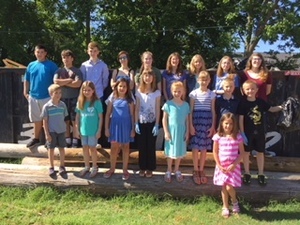 OUR YOUTH GROUP visited the Tulsa Zoo on June 3, 2018. Check out the 'photos' page for more.